Secretary of Energy Rick Perry today announced a sweeping and unprecedented proposal to pay coal and nuclear power plants, a move that would increase electricity bills and climate pollution for Americans. The proposal would impose a new cost on all electric ratepayers that would be paid primarily to owners of coal plants, undercutting billions of dollars of investment by people risking their capital to compete in and transform our energy markets. The decision, based on mischaracterized reliability concerns, ignores a recent Department of Energy (DOE) report Secretary Perry commissioned that found no reliability concern. The report’s finding is consistent with voluminous literature and evidence that concludes there are no signs of deteriorating reliability on the grid today, and cleaner resources and new technologies being brought online are strengthening reliability. DOE’s proposal provides cost recovery for uneconomic baseload generators such as coal-fired power plants at the expense of Americans’ electricity bills, families and communities’ health, and the environment. Cost recovery, put simply, means that no matter how expensive coal-fired power gets Americans must foot the bill. No matter how old, expensive, or dirty a coal plant may be, it would be paid to remain online at the expense of cleaner, newer, and less expensive energy resources. Such regulatory intervention would stand in the way of an economic and efficient electric grid required by law and would impose massive financial losses on the companies that have been investing to build a new and lower cost power system. Multiple studies have already shown that coal generators that are retiring are old, inefficient units that are relatively expensive to operate. 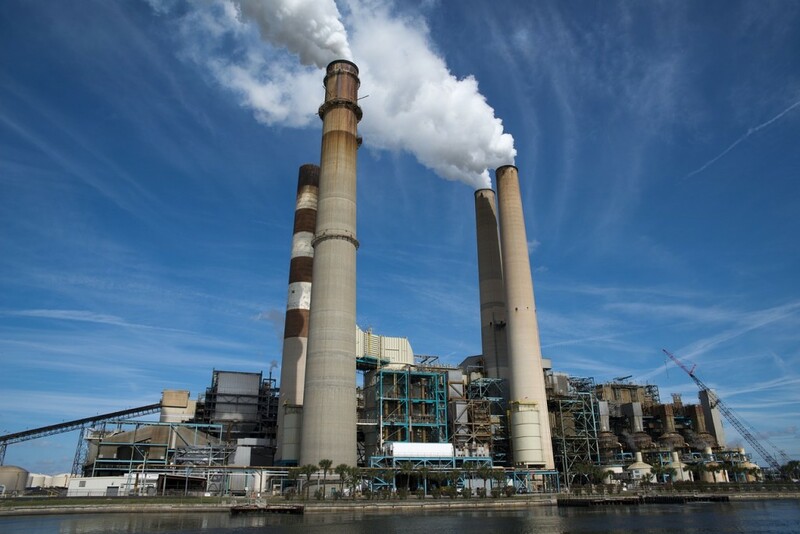 According to one study, coal units that announced plans to retire between 2010 and 2015 were 57 years old – well past their intended life span of 40 years. These units are not retiring prematurely; they are retiring because they are unable to compete against cheaper, more efficient, and cleaner resources. As Secretary Perry’s own report stated, coal retirements are primarily driven by low natural gas prices. Yet with this proposal, DOE again appears determined to ignore competitive market forces and instead attempt to bail out coal-fired power plants, no matter the cost to Americans. Not only would this increase electricity bills for the public but also unnecessarily expose the public to dangerous and harmful air pollution. A wide range of literature, including DOE’s own baseload study, confirm that electric reliability remains strong and bulk power system resilience continues to improve. Yet, DOE ignores its own findings and suggests that coal bailouts are needed for reliability and resiliency. Not only is DOE trying to solve a problem that doesn’t exist, it is doing so by forcing ratepayers to pay for a solution that doesn’t work. DOE’s proposal would compensate coal units for a 90-day on-site fuel supply, yet just recently we saw in the aftermath of Hurricane Harvey that W.A. Parish, one of America’s largest coal plants, was forced to shutter two of its units after its coal piles were flooded. Indeed, available data indicates that coal plants fail more than any other resource. In contrast, clean energy resources are increasingly demonstrating their ability to support reliable electric service at times of severe stress on the grid. For instance, wind energy contributed critical power during Hurricane Harvey. In another example, during the 2014 polar vortex – when frozen coal stock piles led to coal plant failures – wind and demand response resources were increasingly called upon to help maintain reliability. Many studies have highlighted the valuable reliability services that emerging new technologies, such as electric storage, can provide. DOE’s own report found that cleaner resources and emerging new technologies are creating options and opportunities and providing a new toolbox for maintaining reliability in the modern power system. FERC has also long recognized the valuable grid services that emerging new technologies could provide. From its order on demand response to its order on frequency regulation compensation, FERC recognized the value of fast and accurate response resources in cost-effectively meeting grid reliability needs. More recently, FERC’s ancillary service reforms recognize that, with advances in technologies, variable energy resources such as wind are increasingly capable of providing reliability services such as reactive power. Essential Reliability Services, such as frequency and voltage support, are already being procured today to meet grid reliability needs. For instance, frequency regulation is procured as part of the ancillary services markets. These markets allow all resources to compete and to provide the necessary grid services at least cost to Americans. FERC should ensure that any additional action taken in response to DOE’s proposal continues to be fuel-neutral, non-discriminatory and in-market. By doing so, Americans can not only have reliable and affordable electricity but can also reap the benefits of cleaner and healthier environment. This entry was posted in Economics, Energy, News, Setting the Facts Straight. Bookmark the permalink. Both comments and trackbacks are currently closed. The energy consumed to design, manufacture, install, maintain and administer renewables exceeds the energy they produce in their lifetime. Dan – That used to be true but with improved efficiency and innovations, along with the depletion of ‘easy to extract’ fossil fuels, energy return on energy invested is higher for most renewable production than for many fossil fuel options. I agree that, had we never discovered fossil fuels, we would not now be developing advanced solar and wind, but current research suggests that we can rapidly move away from fossil fuels. This is not without challenges – access to minerals needed for solar panels and batteries being a big one – but it is far, far from a negative return on energy invested. Given the significant benefits of the energy transition, subsidizing fossil fuels at this time is absurd. The fallacy of wind turbines is revealed with simple arithmetic. Installed cost @ $1.7E6/mW = $8.5E6. Add the cost of standby CCGT for low wind periods. Add the cost of land lease, maintenance, administration. Solar voltaic and solar thermal are even worse. Without the energy provided by other sources these renewables could not exist. Besides that, there is the issue of bird kills with both wind turbines and solar thermal and the rare earths used in the permanent magnets of efficient generators. Dan, why would anyone assign credence to a claim “CO2 does not…have a significant effect on climate” coming from someone with no formal training in geophysics or climatology? They would assign credence because they had read and understood my blog/analysis (link above) and were aware of my engineering science skill and independent research on the subject. They might also be aware that geophysics does not provide an adequate skill set and that climatology ‘experts’ made bogus assumptions and exhibited an ‘epic fail’ in predicting the average global temperature trend as exhibited here https://judithcurry.com/2015/12/17/climate-models-versus-climate-reality/ and elsewhere. Michael, with your exclusion of the word “nuclear” from all but the first sentence of your article duly noted: if carbon-free nuclear predominates over coal, your claim electricity would be more expensive and dirtier are simply wrong, even with some coal in the mix. That EDF is supported by Chevron, Exxon-Mobil, and Transcanada in its methane research is well-known; what’s not well-known is what portion of the $6 million in payments to EDF has been designated to help eliminate nuclear to benefit natural gas revenue for the three companies. What’s your estimate?